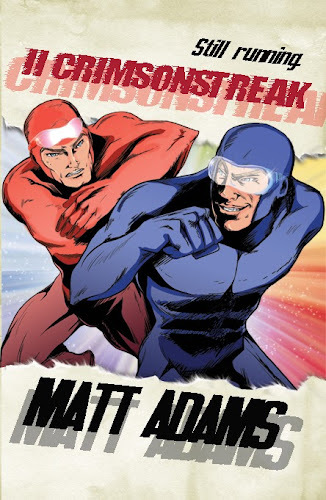 Matt Adams - Superheroes, Sci-Fi, and a Touch of the Fantastic: II Crimsonstreak release day! II Crimsonstreak is out today! Follow the continuing adventures of the pop culture-loving superhero as he races to save not only the Earth...but the entire multiverse. He'll team up with some of his closest friends--like his girlfriend Jaci and the Crusading Comet--and get "help" from snobbish intergalactic space cops and a noble birdman. It's all awaiting you in II Crimsonstreak from Candlemark & Gleam!